In recognition of a commitment to quality and an ongoing dedication to the learning and development of children, Lebanon City Schools Preschool has received a Five-Star Step Up To Quality Award from the state of Ohio. 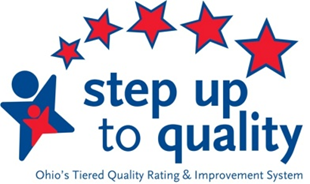 Step Up To Quality is Ohio's rating system for learning and development programs. 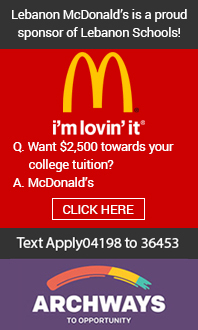 Participating programs can earn a one to five star rating. Use child assessment results to plan activities that best support learning and development goals for each child. Share assessment results and create goals for children. Develop plans to support children as they transition to a new classroom or educational setting. Work with other organizations or businesses within the community to support children and their families. Have an active and organized parent volunteer group. Use input from families and community partners' to inform program's continuous improvement process. "We're very proud of our preschool's five-star designation. Early childhood learning is the foundation of a strong academic program and we thank our community for caring about its youngest students." said Lebanon City Schools Superintendent Todd Yohey. Children have approximately 1,892 days from birth until school starts, and every day matters. It is important to Lebanon City Schools that children develop their self-confidence, social and emotional skills, and a love of learning. Research confirms that the first five years of a child's life has a direct impact on how children develop emotional well-being, in addition to, learning and social skills, For these reason, the Ohio Department of Job and Family Services and the Ohio Department of Education are committed to improving early childhood opportunities for all children in the state.